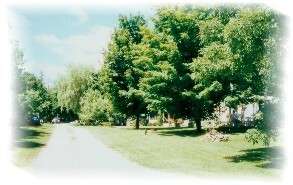 Sandy Beach provides 160 seasonal sites The lavishly wide walking areas and generous sites are greatly appreciated by our campers. We offer 30 amp hydro service, water and sewage, and clean washrooms with hot water and showers. All sites are provided with a picnic table. Pets are allowed on both seasonal and overnight sites but must be kept on a short leash at all times. 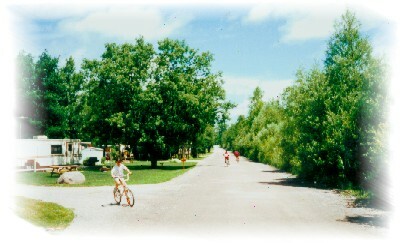 The well-treed park and wide lanes provide ample space for cyclist or walkers.